Due to a late cancellation, Dragonfly Release has one space available on its Jade Stone Therapeutic Massage Course, being held this Sunday 29 July at CCMH Halifax. The usual cost for this course is $345 inc HST but a reduction will be available due to this last minute cancellation! This offer will not last long and, if interested, please contact Dragonfly asap before the slot is taken. All training materials, including stone heaters, set of 20 Jade stones etc will be provided, except linens & lotion which must be provided by you. Details of the linen pack required will be provided upon registration. Please note a non-refundable/transferable deposit of $150+HST is required to secure your place on this popular and well attended course, which is limited to a maximum of six attendees. 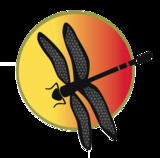 Applications directly to jeff@dragonflyrelease.com where an invoice for payment will be provided. This will be the last Jade Stone Course until late Fall! !